The Rams (16-11, 12-9 MEC) fell to the Glenville State Pioneers (7-20, 5-16 MEC) on the road in Glenville, West Virginia, Wednesday evening, Feb. 22, by a 72-65 score in the rematch between these conference opponents. 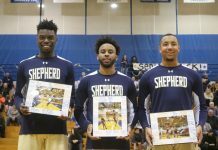 Shepherd’s record stands at 16-11 overall and 12-9 in Mountain East Conference (MEC) action with the loss. Glenville improved its overall record to 7-20 and its MEC record to 5-16 with the end of the regular season nearing. The Pioneers were feeling it on the offensive end as they were able to hold a lead from the 7:56 mark in the first half until the final whistle, behind 19 points a piece from guards John Dunmyer, a senior, and Darhius Nunn, a sophomore. In the first half, Glenville State hit on eight of its 13 three-point attempts (61.54 percent) while the Rams connected on just three out of their 10 attempts from beyond the arc as they were trying to keep pace. At the end of the first half, the Pioneers had opened a 12-point lead over the Rams with a 41-29 score behind Nunn’s 12 points in the first half. 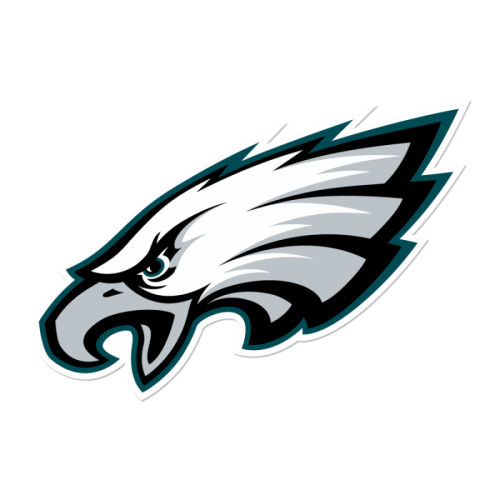 “In the first half, we were careless with the ball and we lacked defensive toughness. 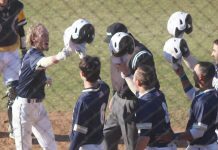 We turned the ball over 10 times and let them shoot 55 percent from the field in the first half,” Rams head coach Justin Namolik said in an email. 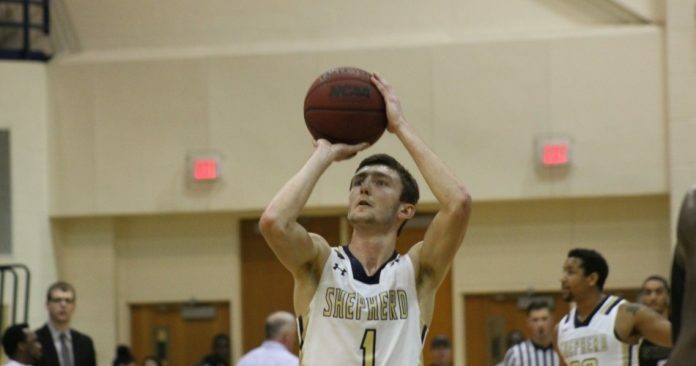 Shepherd came out of the half firing and steadily chipped away at the lead, getting the score as close as three at 63-60 with just under three minutes to go after a three-point shot from junior guard Derek McKnight. The catalyst for the comeback bid was sophomore guard Thomas Lang. After a seven-point first half, Lang came out in the second half with a 16-point explosion that was largely fueled by four three-pointers. Lang’s second half scoring onslaught helped him finish with a game-high 23 points. Senior forward AJ Carr joined Lang as the only two Rams to score in double digits, finishing with 18 points and eight rebounds. 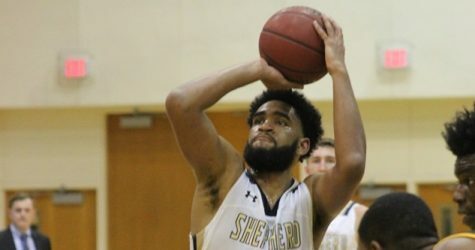 Fellow senior Steffen Davis, a guard, continues to extend his three-point record after connecting on two out of his five three-point attempts. Rams senior forward AJ Carr added an 18 point, eight rebound effort in the loss to Glenville State Wednesday. Carr’s 18 second to only Lang’s 23 points. The Pioneers were able to hit the necessary free throws to seal the game in the final minutes. Glenville junior forward Theo Brown helpd the Pioneers protect their led late in the game by blocking an AJ Carr layup attempt when the Rams were down by a 65-60 score with 2:14 to play. 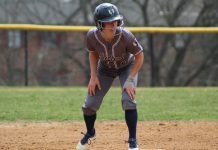 Despite the loss, the Rams must look ahead to a rematch at home against Fairmont State on Saturday afternoon, Feb. 24, as they will be looking to hand the Fighting Falcons their eighth loss of the season in the final regular season game. It will also be Senior Day, the last home game for Carr, Davis, and senior forward Gavin McTavish. Saturday’s Senior Day game against Fairmont State will begin at 4 p.m.